Photographing weddings in Italy is something I never take for granted. The Borgo Corsignano Wedding Photography you see here I would describe in three words; Authentic, Natural, Beautiful. I came to shoot at this luxury wedding venue in Tuscany after wedding planner Gio of Accent Events recommended me to Mark and Megan. After a good phone call chatting all about their Italy wedding and what they had planned they agreed to hire me as their wedding photographer. First we arranged a pre wedding shoot in London. This gave us a great opportunity to meet, see how I work and for them to get some awesome photos. It more importantly though gave them the chance to see how relaxed my approach is to photography. In eastern Tuscany there lies the small town of Poppi. Not too far from Arezzo this beautiful location in Italy overlooks the Casentino Valley. When your in the area one of the main things you’ll notice is the high standing Castle of Counts Guidi. You can actually make out the castle from Borgo Corsignano. If you are serious about getting married in Tuscany then this location really has to be considered. The venue its self is just remarkable and caters for everything. Just being surrounded what only feels like being in a movie is just incredible. Whenever I travel, the more history involved the better. 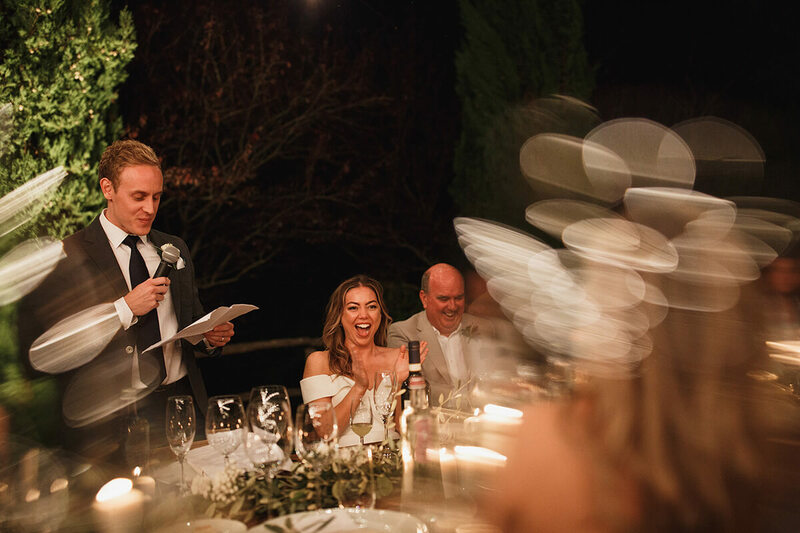 This wedding venue has just that and to get married to your best friends in one of the most beautiful places in the world that’s saturated in history is just super romantic. The venue is surrounded by mountains and ancient woodlands. Here you’ll find wild boar and deer and plenty of hiking trails. If you know a little of Italian history you’ll of heard of Dante. It was in Casentino where Dante wrote parts of his famous Divine Comedy. Casentino is known as Hidden Tuscany or as the Italians call it; La Toscana Nascosta. 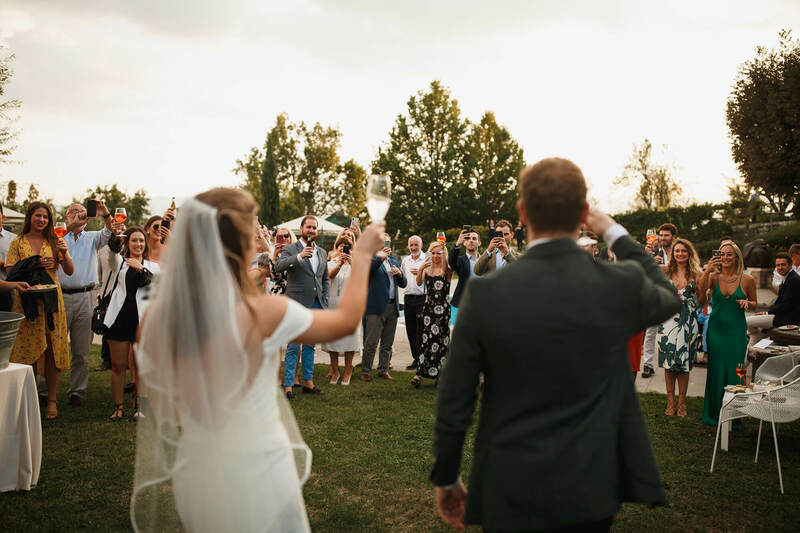 This wedding venue was originally a farm which was gifted to Eremo di Camaldoli in 1037. It wasn’t until 1990 when the farm was bought by the Lorj family. It was then renovated with a tonne of care an attention to the beautiful luxury wedding venue it is today. 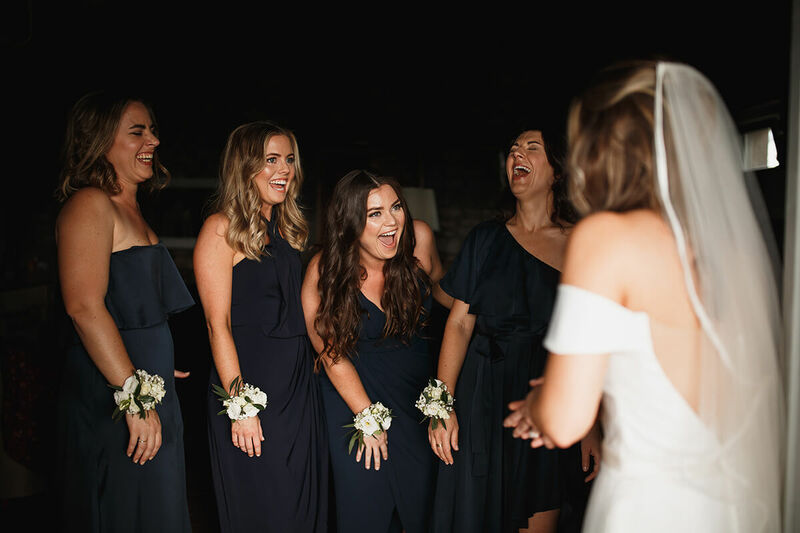 I have photographed weddings all over Europe but not much comes close for a place for the bride and her bridesmaids to get ready. During the morning of Mark and Megans wedding there was just a good atmosphere. 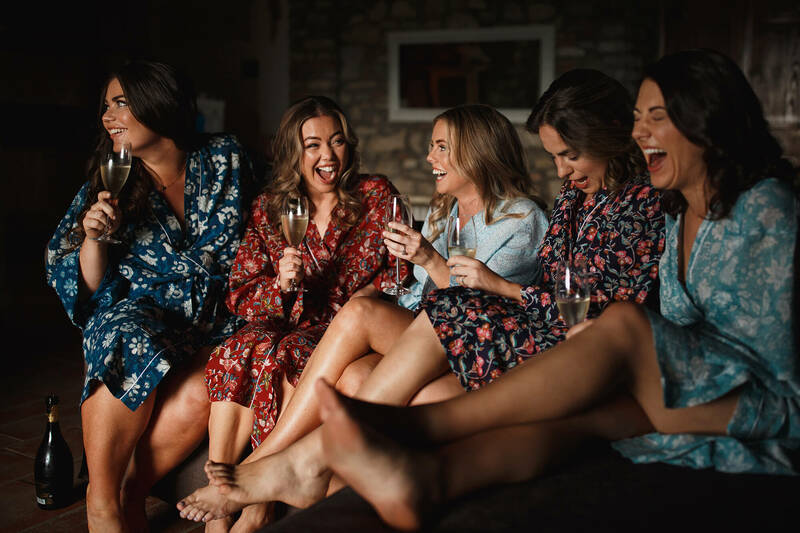 The girls where having fun, laughing and drinking Champagne with beautiful backdrops of the Tuscan Hills. One of the great things about this venue is that there is so much room for multiple wedding parties to get ready. The groomsmen and groom had their own mini villa to get ready in. The brides and bridesmaids in another and all of the important wedding guests such as close family etc where in another. All on the same grounds. I can imagine anyone in Tuscany who is travelling or loves photography would have their camera out all the time. So imagine what its like for me as a photographer ion one of the most beautiful places in the world with one of the most beautiful events going on! 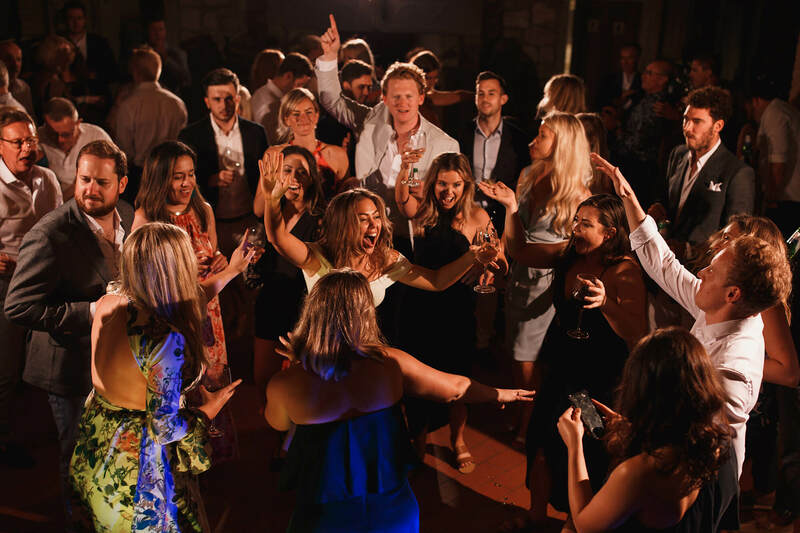 My favourite images from all of my Borgo Corsignano Wedding Photography were either the once during the wedding breakfast or the pictures of the dancing at the end of the day. I think if I had to choose though it would be the wedding breakfast. The light was just beautiful as all of the wedding guests sat under festoon lights. Surrounded by good food, great Italian wine, champagne and the warm Tuscan air. It was a recipe for magic! And magical it was. So many happy faces and moments, I just loved taking photos of this. 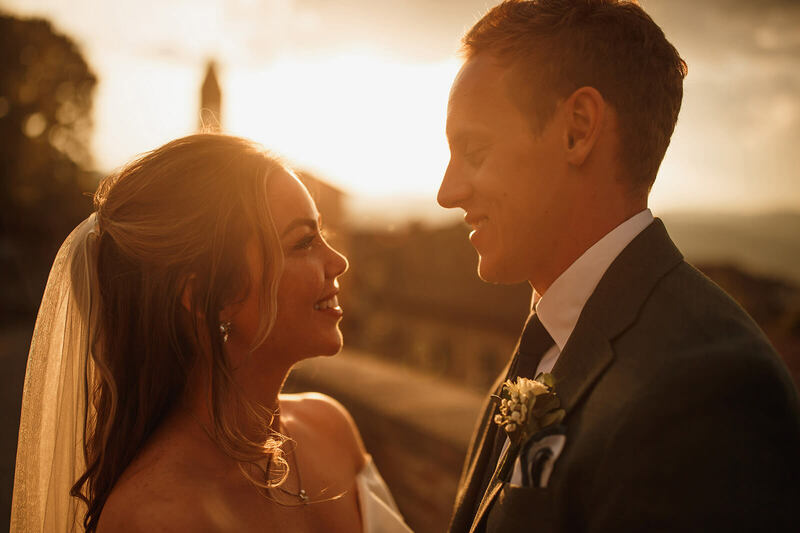 To wrap this post up, Italy in general is one of the most romantic and beautiful places you could ever choose to get married. 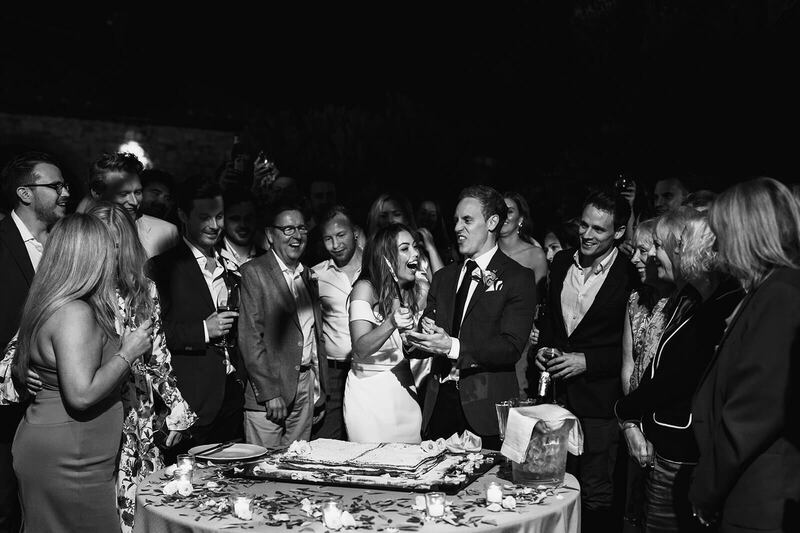 Although there is more to understand regarding the the legal side of getting married in Italy. It’s totally worth it. 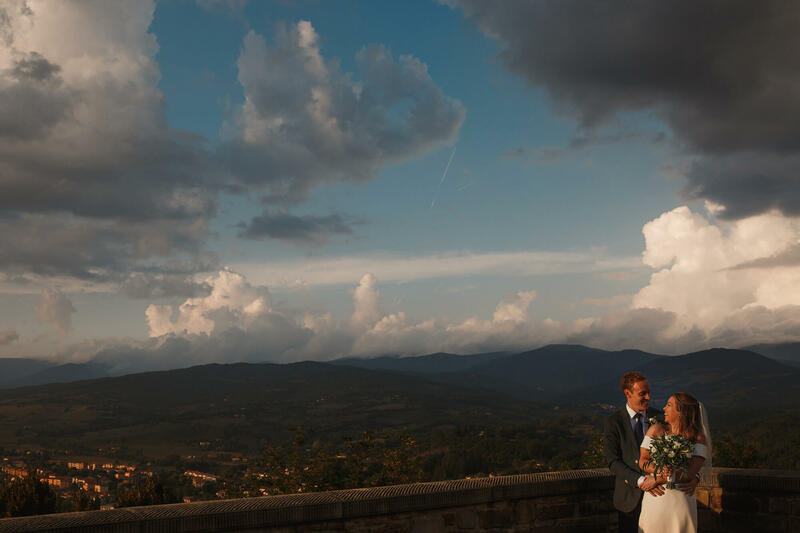 As a Tuscany Wedding Photographer I would highly recommend this wedding venue to anyone who is planning a wedding in Italy and is considering Tuscany as a location for their Italian Wedding. I would love to hear from you if you are planning on getting married in this excellent wedding venue. Get in touch!